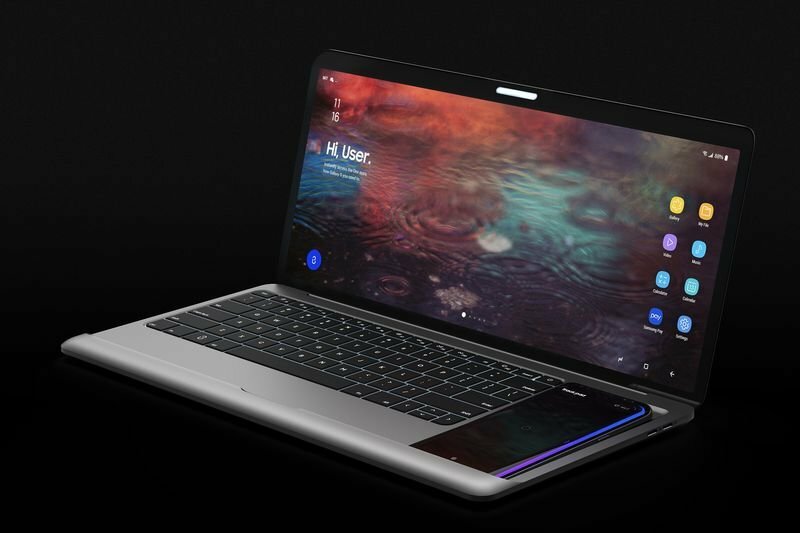 Home / Computers/technology / Gadgets / Video: The Samsung Dex Book Concept Looks Insane!! Majority of the users out there have a smartphone and a laptop in their roster of devices, so the conceptually designed Samsung Dex Book is intended to help merge them together when you are sitting down to get some work done. Rather than having your smartphone rest away from the laptop, the computer enables it to be formally docked to use it as an additional feature of the system when working. This lets it display a number padded even make payments via the device without needing to get your credit card out of your wallet. The conceptual Samsung Dex Book is the design work of Kwanjun Ryu and Jaejin Bong and identifies how technology products might continue to be merged to create a more unified experience in the near future. It is a 14-inch widescreen machine with a MacBook-like keyboard, no trackpad and with a special space for a Galaxy S8, S8+ and Galaxy Note 8. The Samsung Dex Book offers a 3360 x 1440 pixel resolution and the screen has a 21:9 ration and there is support for Samsung Pay, as well as a dedicated Bixby button on the keyboard. Have a look at the Samsung Dex book concept video below!